What Do You Notice About This Fate/EXTRA Figure? A Figma figure of character Saber from upcoming PSP role-playing-game dungeon crawler Fate/EXTRA has been announced. Notice anything? Look closer. Squint, even. That's right, pantsu. Those who have seen art for the game probably spotted this right quick. 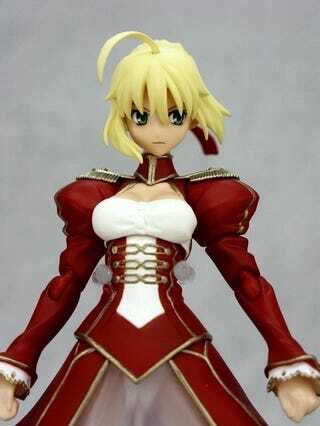 The figure will be bundled with Fate/EXTRA when it is released in Japan next March.